Lionel Messi’s body language says it all. 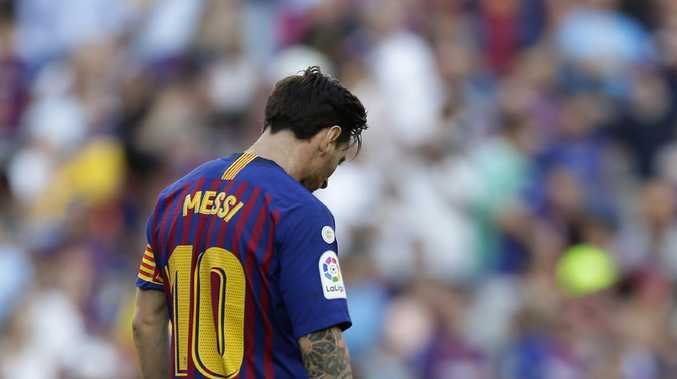 WITH Lionel Messi rested for most of the match, Barcelona was held to 1-1 by Athletic Bilbao at home on Saturday in its third straight setback in the Spanish league. Messi came off the bench in the second half to set up a late equaliser by Munir El Haddadi, but he wasn't able to lead the defending champions to victory at Camp Nou Stadium. "It's been a difficult week, having won only one point in nine possible," Barcelona coach Ernesto Valverde said. Messi and Sergio Busquets were put on the bench by Valverde ahead of Barcelona's Champions League match at Tottenham on Wednesday. "I believed that Leo and Busquets had to rest because we have a very complicated match on Wednesday," Valverde said. "I knew it was a risky decision." It's the first time in two years Barcelona hasn't won in three consecutive league matches. It was coming off a home draw against Girona and a loss at then- last-place Leganes. 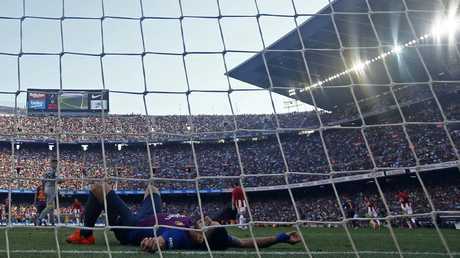 "We had many chances but couldn't take advantage of them," Barcelona forward Luis Suarez said. "They scored the only time they got a shot on goal." Messi replaced midfielder Arturo Vidal in the 55th and provided the pass for Munir's 84th-minute equaliser. Messi came close to scoring the winner with a late free kick, and after the match was shown a yellow card for complaining to the referee. "We can't depend on Messi to enter the match and solve things for us," Suarez said. Athletic was trying to win at Camp Nou for the first time since 2001. It was winless since the first round. Athletic's third-round match at Rayo Vallecano was postponed because of security concerns at Rayo's stadium. Barcelona's next league game is at Valencia, which won at Real Sociedad 1-0. Barca are still top of La Liga.